Social Security needs proof of your birth to start your retirement benefits. 1. How Long Does it Take to Process Social Security Retirement Benefits? 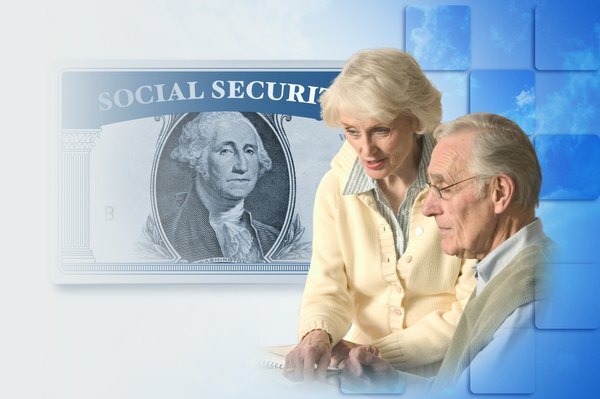 You can apply for U.S. Social Security retirement benefits online, in person or by telephone. However you apply, you need to have several documents available if the agency requests them. The required documents depend in part on your personal history, such as where you were born and whether you served in the military. Save time by gathering the necessary information before beginning your application. Find your original birth certificate or other proof of your birth, whether you were born in the United States or a foreign country. Although Social Security accepts copies of some documents, it accepts only an original birth certificate or corresponding foreign document. Gather your discharge papers from the U.S. military if you served before 1968. Social Security wants to know the dates of your service and whether or not you ever qualified for a monthly payment from the military. A military pension won't necessarily reduce your Social Security retirement benefits. Provide copies of your W-2 forms and self-employment income tax returns for the Social Security Administration. Unlike some other documents, photocopies of these forms are acceptable. If you wish to continue working and collect early retirement benefits, your earnings can reduce your benefit. For those born between 1943 and 1954, early retirement is before age 66. If you sign up for Social Security in person at a Social Security office, take the necessary documents with you. To apply by phone, call 1-800-772-1213 for toll-free phone service, or 1-800-325-0778 if you're hearing-impaired. If you apply by phone or online, don't mail in Department of Homeland Security documents or foreign birth records, the agency warns on its website. Because these papers are too difficult to replace if they're lost, deliver them in person to a local Social Security office. If you mail in any other supporting documents, don't write on them. Instead, include a separate piece of paper with your Social Security number on it. The documents needed to apply for Social Security retirement benefits differ a bit if you're a non-U.S. native. If you weren't born in the United States, you must also provide documents proving your legal right to be in the country, whether as a citizen, naturalized citizen or legal alien. For example, provide a U.S. passport, certificate of citizenship, certificate of naturalization or U.S. consular report of birth. If you are not a U.S. citizen, you must provide your Department of Homeland Security I-551 permanent resident card, often called a green card. Also provide form I-94, an admission and departure record, if you have one. These documents must all be originals or copies certified by the issuing agency. If you retire at full retirement age, you may see an increase in benefits in 2018. The maximum payout will now be 3.7 percent or $2,788 a month or $33,456 annually. This is up from the previous amount, which was $2,687 per month or $32,244 a year. If you're collecting Social Security and you still need to file your 2017 taxes, you may not be required to do so. If your only earnings in 2017 was from Social Security, you don't have to worry about filing at all. But if you had a part-time job or a 401(k), you'll need to determine whether you were required to file a return. If you're a single filer, you can earn up to $25,000 before filing a tax return. Once you've reached that earnings bracket, you'll pay taxes on the amount you earned, plus half of your Social Security income for the year unless your non-Social Security income exceeded $34,000. Once you reach that threshold, your Social Security earnings can be taxed up to 85 percent. SmartAsset: Is Social Security Income Taxable? How do I Sign Up for SS Retirement Benefits? How Long Are You Locked in to Your Mortgage Rate?